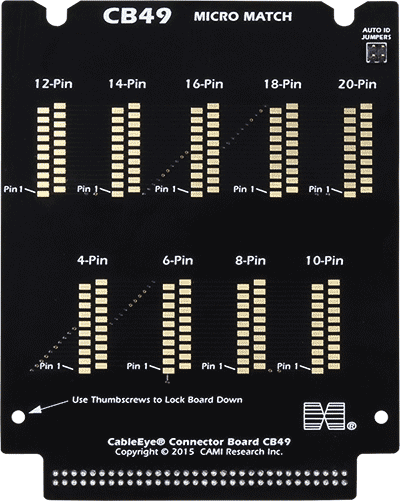 9 Connector positions for Micro-MaTch 4, 6, 8, 10, 12, 14, 16, 18 and 20-pin size connectors. You can solder any connector size in any position if needed (requires PinMap optional software to show proper graphics when doing this). Set of two boards. This board is sold without connectors.